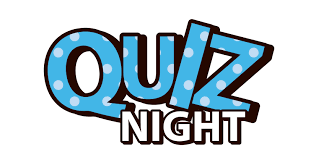 Next Social for the Club lined up for 8th March - a quiz evening with a fish and chip supper. Prizes, raffle and other things to win - please share with other people and encourage them to bring teams along. Money raised will go towards the club and also Meningitis Now (one of the club charities). The quiz is being run by a professional organisation employing the latest technology, so not your usual boring pen and paper stuff! It should be a good social evening, and a good way to relax before a league Saturday! Hopefully see lots of you at the club.